For doctors and their humanitarian collaborators in war torn areas, who risk their lives to save the lives of others. That Christian communities, especially those who are persecuted, feel that they are close to Christ and have their rights respected. Reflection for the month ​by Fr. Andrij M. Hlabse – Recognition of the Right of Christian Communities. For a generous welcome of the victims of human trafficking, of enforced prostitution, and of violence. ​The following reflection was written by Fr. Jacob Boddicker, SJ. Fr. Jacob Boddicker was ordained to the priesthood in June 2017 and is currently doing pastoral ministry in St. Francis, South Dakota. Fr. Boddicker is a member of our Board of Directors. dialogue with culture, a language suited to the conditions of the present time. In 2018's last Pope Video, pontiff asks us to pray for all those involved in communicating and serving the faith. ​Where do we Hear the Cry of the Poor? ​Pope Francis: "Using the name of God to justify the path of violence and hatred is blasphemy"
Pope Francis adds: "Let us commit ourselves with prayer and action to distance our hearts, our words and our deeds from all violence in order to take care of our common home." That consecrated religious men and women may bestir themselves, and be present among the poor, the marginalized, and those who have no voice. Pope Francis called for humanity to take better care of “our common home” in his message for the 4th Annual World Day of Prayer for the Care of Creation, September 2, 2018.
of the treasures of humanity. 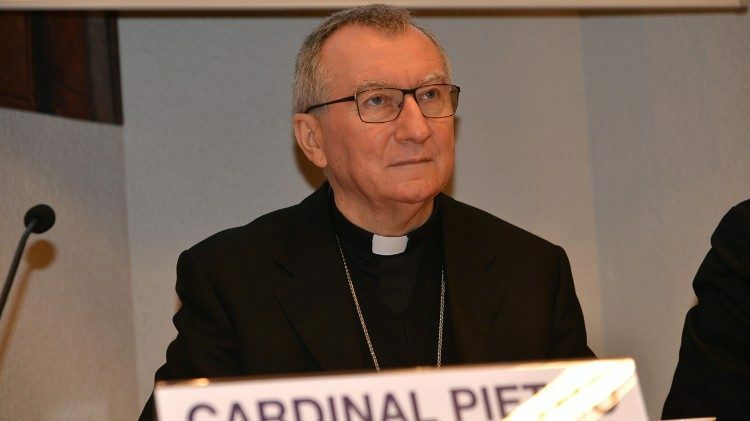 The Vatican Secretary of State, Cardinal Pietro Parolin, addresses participants in the International Conference “Saving our Common Home and the Future of Life on Earth” on Thursday, praising the interconnectedness of Pope Francis’ approach to ecology. That priests, who experience fatigue and loneliness in their pastoral work, may find help and comfort in their intimacy with the Lord and in their friendship with their brother priests. Pope Francis says Christians are urgently called to manifest their faith by giving “a sign of neighbourliness and relief in the face of the many forms of poverty” that afflict our world, and at the same time honour them “who are the real presence of Jesus in our midst”. The theme chosen for this year’s message is “This poor man cried and the Lord heard him”....the roots of poverty saying it is not brought on by itself, “but is caused by selfishness, pride, greed and injustice”. The Holy See has released the Holy Father's Message for the 2018 World Communications Day. The message is entitled "The truth will set you free (John 8:32): Fake news and journalism for peace". It was released on 24 January 2018, the liturgical memorial of Saint Francis de Sales, patron saint of writers and journalists. In his Message, Pope Francis expresses his hope "to contribute to our shared commitment to stemming the spread of fake news and to rediscovering the dignity of journalism and the personal responsibility of journalists to communicate the truth." The Holy Father concludes his message with the Franciscan prayer, "Lord, make us instruments of your peace." The Mission of the Laity: That the lay faithful may fulfill their specific mission, by responding with creativity to the challenge that face the world today. VATICAN CITY — God calls all Christians to be saints — not plastic statues of saints, but real people who make time for prayer and who show loving care for others in the simplest gestures, Pope Francis said in his new document on holiness. That economists may have the courage to reject any economy of exclusion and know how to open new paths. Once again, the Pasch of the Lord draws near! In our preparation for Easter, God in his providence offers us each year the season of Lent as a “sacramental sign of our conversion”. That those who have material, political or spiritual power may resist any lure of corruption. “You shall treat the stranger who sojourns with you as the native among you, and you shall love him as yourself, for you were strangers in the land of Egypt: I am the Lord your God” (Leviticus 19:34). Throughout the first years of my pontificate, I have repeatedly expressed my particular concern for the lamentable situation of many migrants and refugees fleeing from war, persecution, natural disasters and poverty. This situation is undoubtedly a “sign of the times” which I have tried to interpret, with the help of the Holy Spirit, ever since my visit to Lampedusa on 8 July 2013. When I instituted the new Dicastery for Promoting Integral Human Development, I wanted a particular section – under my personal direction for the time being – to express the Church’s concern for migrants, displaced people, refugees and victims of human trafficking. That Christians, and other religious minorities in Asian countries, may be able to practise their faith in full freedom. That the elderly, sustained by families and Christian communities, may apply their wisdom and experience to spreading the faith and forming the new generations. Pope Francis dined with 1,200 poor people at the Vatican to mark the Catholic Church's first "World Day for the Poor"
Let us pray that Christians in Asia, bearing witness to the Gospel in word and deed, may promote dialogue, peace, and mutual understanding, especially with those of other religions. ​ to the UN here. During the month of September, Pope Francis asks everyone to pray for parishes. Ask your parish to take the Laudato Si’ Pledge or to start a creation committee using our eco-parish guide. The Pope’s Worldwide Prayer Network has created a video that beautifully illustrates the connection between creation care and parish life. This month’s intention is for artists: "That artists of our time, through their creativity, may help us discover the beauty of creation." The text of the video message reads:The arts give expression to the beauty of the faith and proclaim the Gospel message of the grandeur of God’s creation. ​CHRISTIANS PRAY AND CARE FOR CREATION, TOGETHER. This ​September, Pope Francis asks us to pray for creation. We will be joining Pope Francis through our celebration of Season of Creation, which begins September 1 with the World Day of Prayer for the Care of Creation and lasts until through October 4, the Feast of St. Francis. During this time we will be lifting up the “cry of the earth and the cry of the poor.” (Laudato Si’ 49) From the Amazon to the Philippines and countless places in between, we will be hosting symbolic actions to showcase how Christians are coming together to pray for and care for creation. (Vatican Radio) Pope Francis on Monday sent a message to participants in the 40th General Conference of the Food and Agriculture Organization (FAO) of the United Nations in Rome. Let us love, not with words but with deeds … We must go from empty words to concrete acts ... [and be] Christians who, in utter simplicity and humility, and with generous and creative charity, [serve] their poorest brothers and sisters! The most outstanding example is that of Francis of Assisi, ... He was not satisfied to embrace lepers and give them alms, but chose to go to Gubbio to stay with them. … [we need to foster] a true encounter with the poor and a sharing that becomes a way of life. … If we truly wish to encounter Christ, we have to touch his body in the suffering bodies of the poor, as a response to the sacramental communion bestowed in the Eucharist. The Body of Christ, broken in the sacred liturgy, can be seen, through charity and sharing, in the faces and persons of the most vulnerable of our brothers and sisters. Saint John Chrysostom’s admonition remains ever timely: “If you want to honour the body of Christ, do not scorn it when it is naked; do not honour the Eucharistic Christ with silk vestments, and then, leaving the church, neglect the other Christ suffering from cold and nakedness” (Hom. in Matthaeum, 50.3: PG 58). Let us, then, take as our example Saint Francis and his witness of authentic poverty. Precisely because he kept his gaze fixed on Christ, Francis was able to see and serve him in the poor. If we want to help change history and promote real development, we need to hear the cry of the poor and commit ourselves to ending their marginalization. “Only the Spirit can make us witnesses of obedience. It’s not enough to listen to spiritual guides or to read books…. all that is fine but only the Spirit can change our heart and make us witnesses of obedience,” he said. He recalls today’s first reading, which speaks of Cain and Abel.....“A story which begins ‘with a little jealousy,’ Francis said, explaining that Cain is irritated because his sacrifice does not please the Lord and he begins to cultivate a feeling of resentment, a feeling he could control, but does not. Resentment is not Christian....One gradually, the Pope warned, becomes “obsessed, persecuted” by that evil that grows and grows. Commentary: It is very sad to see "bitterness" creep into an OFS fraternity, it happens! ....Francis stressed to those present that there is “only one ‘today’, in our lives,” only one “real,” “concrete” today. VATICAN CITY — To follow Jesus we need to get moving, and not stand still with a “soul sitting down,” Pope Francis said this morning during Holy Mass in the Chapel of his residence in Santa Marta. 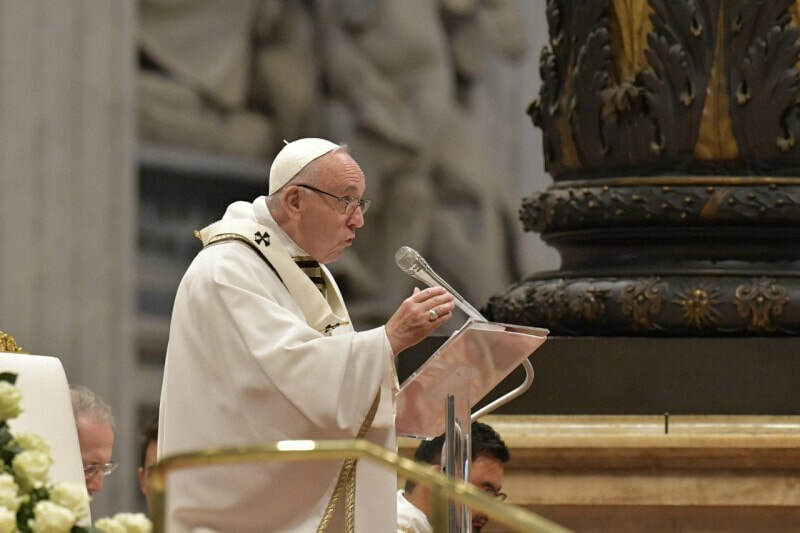 Commenting on the day’s Gospel of the paralytic who is lowered by his friends through the roof of a house where Jesus is teaching, the Pope said that authentic faith must be ready to take risks, and sometimes even look ridiculous to others. People often follow Jesus out of self-interest, or because they are looking for a comforting word, the pope said. But even if no intention is totally pure or perfect, the important thing is to follow Jesus. They were attracted to his authority, to the “things He said and the way he said them. He made himself understood. He also healed them and many people followed Him to be healed.” But certainly, there were times, Pope Francis said, when Jesus also admonished people who were more interested in their own well-being than in the Word of God. The world around us is indeed filled with God’s presence and God’s light, both of which we have been celebrating during this Christmas Season. However, this world of ours is also being bombarded by violence, conflict and persecution. In his message for the celebration of the Fiftieth World Day of Peace on January 1, 2017, Pope Francis chose to reflect on nonviolence as a way to peace, and has exhorted us to make active nonviolence our way of life. (We) invite you to read and reflect on Pope Francis’ message in its entirety, which can be found on the Vatican website. (Doug Clorey ofs) Click HERE. Below is a link to Pope Francis’ Apostolic Letter Misericordia et misera, for the conclusion of the Jubilee Year of Mercy, Dec. 8, 2015 – Nov. 20, 2016. It was published and presented by the Vatican on Nov. 21,2016. ​The best description of the saints -- in fact, their "identity card" -- the pope said, is found in the beatitudes from Jesus' Sermon on the Mount, which begins, "Blessed are the poor in spirit." And, he said, as Christian saints have done throughout the ages, Christ's followers today are called "to confront the troubles and anxieties of our age with the spirit and love of Jesus." "Blessed are those who remain faithful while enduring evils inflicted on them by others and forgive them from their heart. "Blessed are those who look into the eyes of the abandoned and marginalized and show them their closeness. "Blessed are those who see God in every person and strive to make others also discover him. "Blessed are those who protect and care for our common home. "Blessed are those who renounce their own comfort in order to help others. "Blessed are those who pray and work for full communion between Christians." "All these are messengers of God's mercy and tenderness," Pope Francis said. "Surely they will receive from him their merited reward." VATICAN CITY — Everything in the faith becomes beautiful when we keep one truth in mind: “The Lord Jesus is risen, the Lord Jesus loves you, and he has given his life for you,” Pope Francis said today on the Jubilee for Catechists. 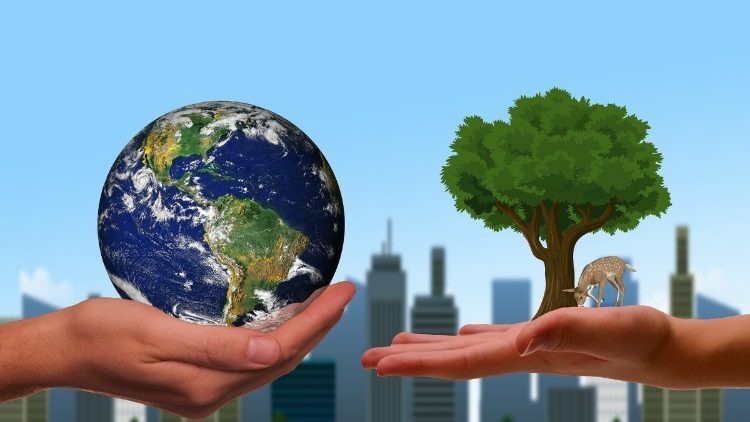 Vatican Radio has reported that Pope Francis confirmed that his encyclical on the environment has been written and is currently under revision. According to the report, he wrote the encyclical with the collaboration of Cardinal Peter Turkson, president of the Pontifical Council for Justice and Peace, among others. There is no date for its release yet. As soon as it becomes available, we will post a link here. Evangelii Gaudium, translated into English as "The Joy of the Gospel" is Pope Francis' first Apolostic Exhortation. In this 224-page document the Pope outlines his vision for a missionary Church. Written in everyday language, it includes much that relates to JPIC, especially Chapter Four, "The Social Dimension of Evangelization" which speaks to the Church’s teaching on social questions, the inclusion of the poor in society and social dialogue as a contribution to peace. “Like Saint Francis of Assisi, let us be transformed by the love of Christ in order to live in simplicity and joy,” Pope Francis Tweeted on October 4, 2017. “I think therefore I am" implies a cause-effect relationship. But my thinking is not what gives me life. Pope Francis, Zenit Feb 20, 2017.